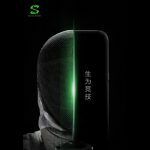 Xiaomi has finally taken the veil off its Black Shark 2 smartphone. We had been quite actively reporting about the phone since the past few weeks. The Black Shark 2 is a legit successor to the Black Shark Helo. 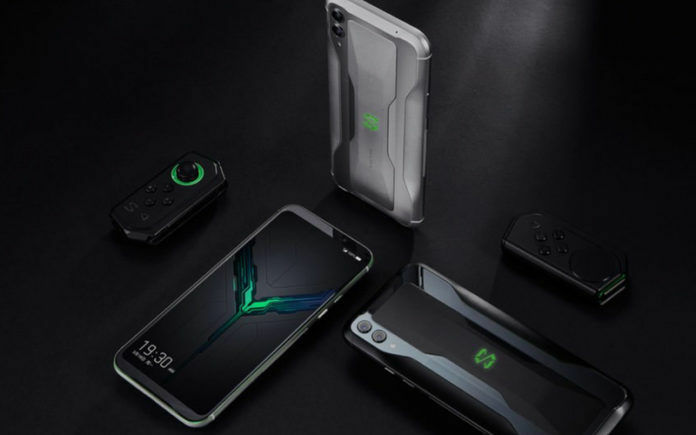 Launched in China, the Black Shark 2 enhances every feature that we have seen on the previous generations of the lineup. The phone has a large FHD+ AMOLED screen and is powered by Snapdragon 855 chipset. Let’s get down to the main features and pricing of this gaming smartphone. 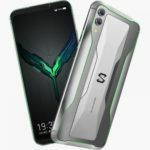 The Xiaomi Black Shark 2 is crafted with metal and glass. The rear panel showcases the brand’s RGB backlit LED logo while the design seems to be inspired by sports cars. 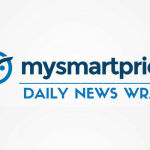 It features a 6.39-inch True View AMOLED display stacked Full HD+ resolution at 2340 x 1080 pixels and an aspect 19:5:9. The gaming-focused phone has negligible bezels on the sides to offer grip and shield the phone from accidental touches. The display also boasts DC dimming technology for automatically tweaking display effects as per the surroundings. The Black Shark 2 features 48MP + 13MP dual rear camera setup and a 20MP selfie shooter. 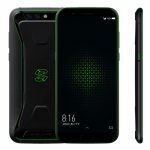 Under the hood, the Black Shark 2 is powered by Qualcomm’s Snapdragon 855 chipset based on the 7nm manufacturing process. It is further aided by Adreno 640 GPU, up to 12GB of RAM and 256GB of internal. For tackling heavy gaming sessions, the phone is integrated with Liquid Cooling 3.0 technology for enhanced heat dispersion and thermal throttling. Black Shark claims that the direct liquid cooling helps the CPU run at 14-degrees lower temperature than regular. 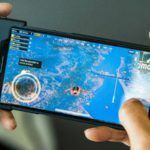 The Black Shark 2 also has a “Ludicrous mode” which is responsible for driving CPU power into the game and ensure that it is not wasted on any other app. This mode warrants pervasive high frame rate throughout the gaming session without a single frame drop. What makes the Black Shark 2 more delightful for gamers is its ability to be connected to an external display via HDMI cable. This particular functionality could be a big advantage for regular gamers who are hooked to games such as Fortnite and PUBG. A 4,000mAh battery backs the smartphone with support for up to 27W fast charging. On the software level, the phone runs Android 9 Pie-based BlackShark OS. The phone also features an “X+2 Antenna”, which refers to antennas placement on two sides antennas alongside a smart antenna. This is to maintain a strong connection regardless of how the device is held. The 6GB RAM+128GB Storage variant of the phone is priced at CNY 3199 (approx. INR 32,700), 8GB RAM+128GB Storage variant at CNY 3499 (approx. INR 35,776), 8GB RAM+256GB Storage model at CNY 3799 (approx. INR 38,844), 12GB RAM+256GB Storage variant at CNY 4199 (approx. INR 42,934). 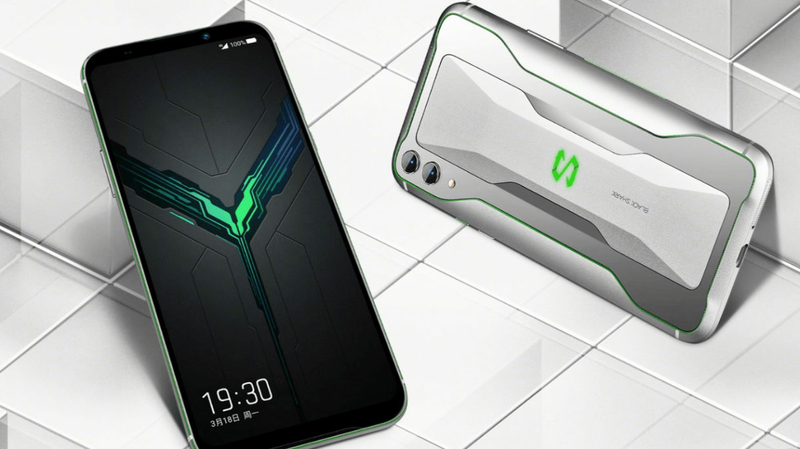 For now, the company has confirmed that it will be launching the Black Shark 2 smartphone in India but is yet to reveal a timeline for it. The phone is already up for pre-ordering in China and will go on sale starting March 22, 2019.